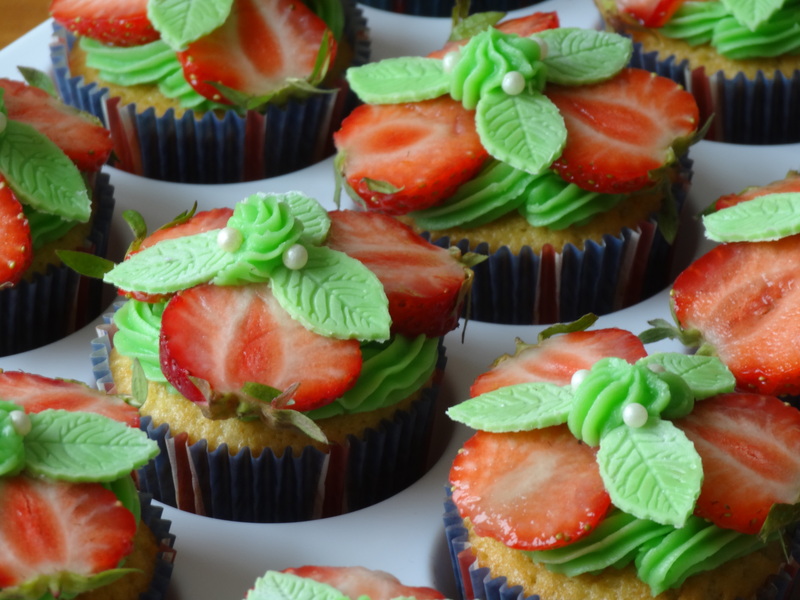 These cupcakes are very fresh and perfect for a summer party! The lemon sponge works really well with the butter icing, and the strawberries give a really nice sweetness. Maybe you will want to cancel your summer party when you try them and keep them all for yourself! 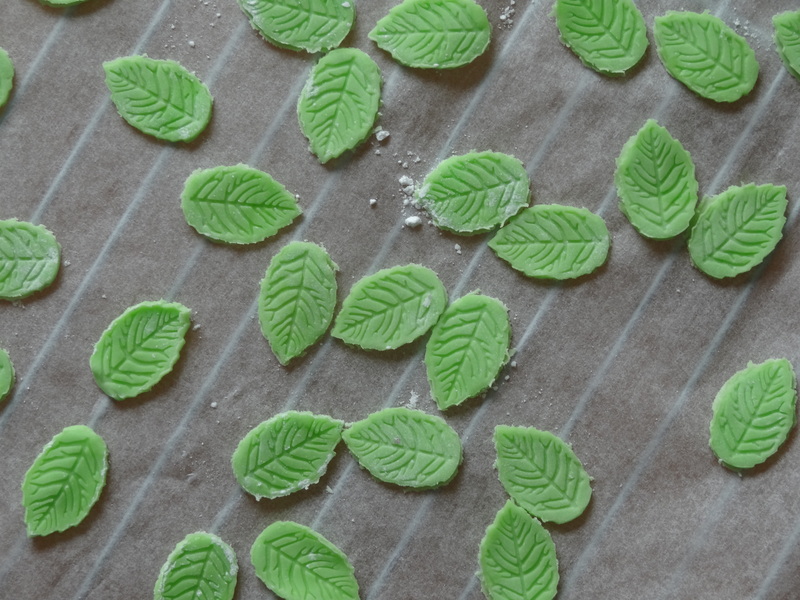 Start by making the leaves that will be used to decorate the cupcakes. They need to dry before you put them on the cupcakes. Take a piece of sugar paste. 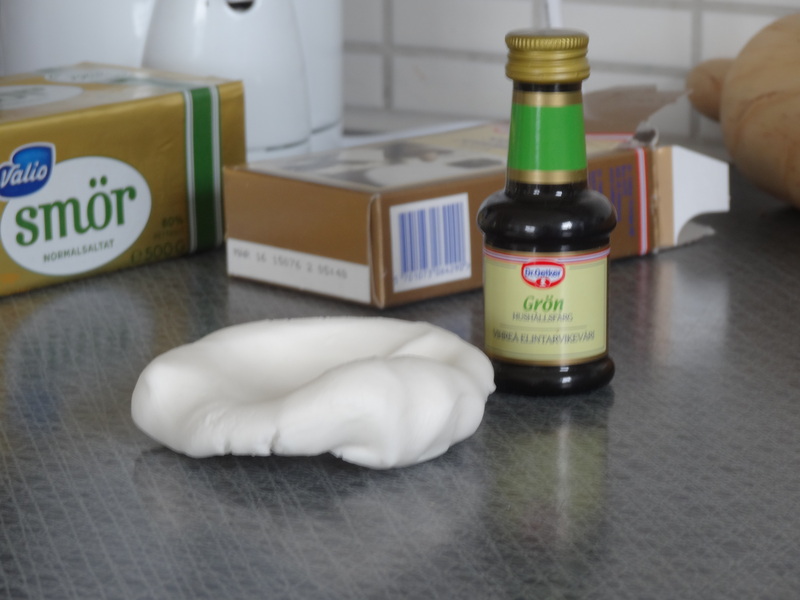 Mix a few drops of the food colouring with the sugar paste. Roll out the sugar paste until 2-3 mm thick. 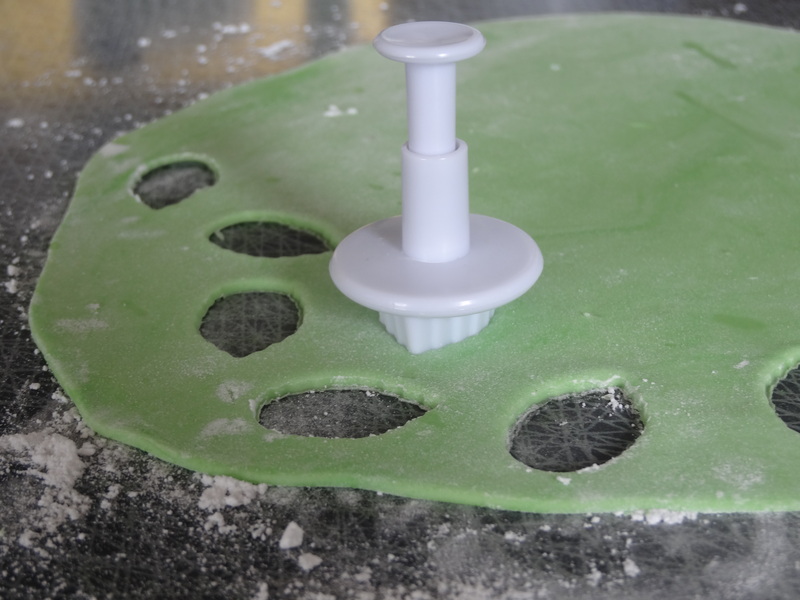 Make sure the sugar paste does not stick to the surface, use icing sugar to dust it if it does. Use a cutter or a sharp knife and cut out leaves. Use an electric whisk and mix the flour, sugar, baking powder, lemon zest and butter until you get a sandy consistancy and everything is mixed. Pour in the milk a little at a time and mix until smooth. Add the egg and mix again until smooth. Place 12 paper cases in a cupcake tray. Spoon the mix into the paper cases until they are two-thirds full. 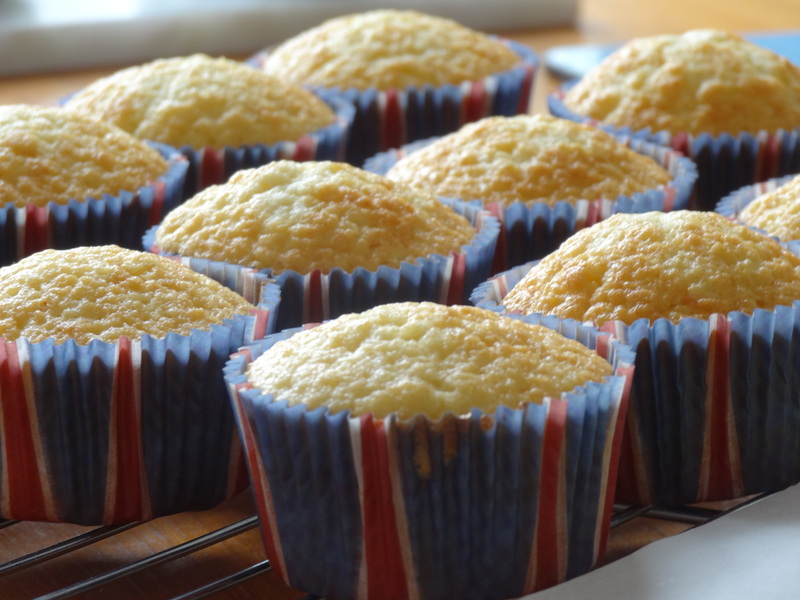 Leave the cupcakes to cool on a cooling rack until completely cool. Mix the icing sugar and butter for the icing together. Beat the mix until it is light and fluffy. When the cupcakes are cool, use an icing bag and pipe the icing, or use a spoon and place the icing on top. Place 3 pieces of strawberries on top of the icing on each cupcake. Put a small amount of icing where the strawberries meet and then add 3 leaves next to the strawberries.